This property on big Cove Creek predates the Revolutionary War. It had an iron forge on it as well as the early 19th century gristmill. It has been a working farm throughout its history. 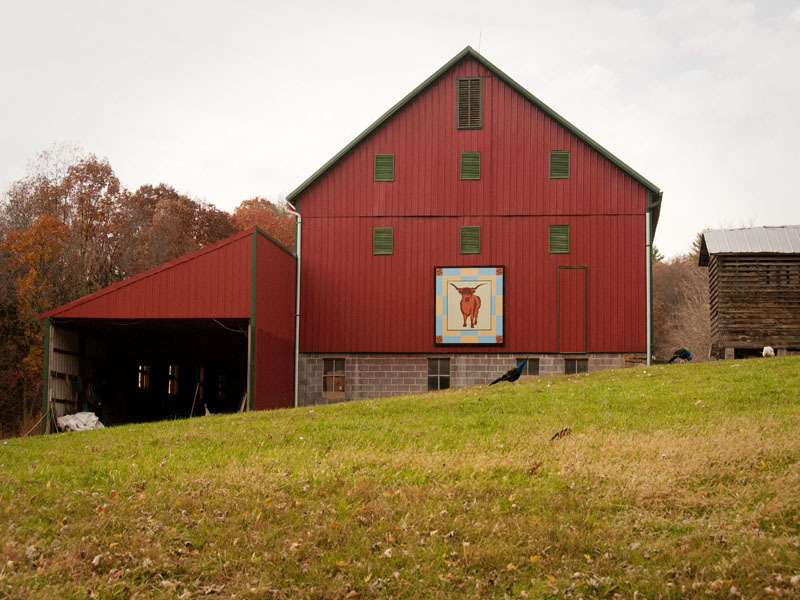 Current owner Fred Humbert loves his Scottish Highland Cattle which can be seen behind the barn, so he featured a highland cow on his quilt block. The sunny colors surrounding his cow represent the bright colorsof the meadow beside the creek. Enjoy the menagerie of fowl while you admire Fred’s barn quilt!